We love weddings and believe your wedding flowers can truly transform your day and help bring your ideas and theme to life. Whether you know what you’re looking for or need inspiration we’re here to help! 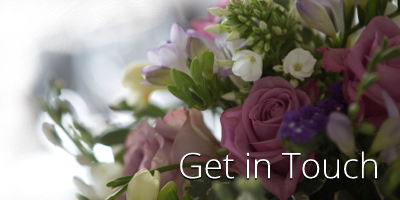 We offer free no obligation consultations where we will discuss your wedding flowers in detail and bring your vision to life. All of our flowers are specifically sourced from our trusted suppliers ensuring you receive a bespoke package tailored to you. We can provide all forms of floral decoration for your wedding from bridal flowers and bouquets, buttonholes and corsages to church flowers and table centrepieces as well as venue styling.